Five Wahama High School art students placed in the show at the West Virginia Black Walnut Festival recently. 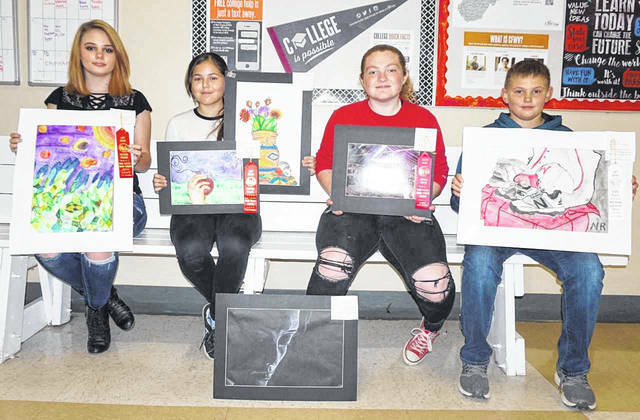 Pictured, from left, are Addisyn Williams, second place high school painting; Selene Aguirre, second place middle school drawing and second place middle school painting; Emma Haddox, second place high school photography; and Nikolas Roush, third place middle school painting. Pictured at the bottom is the high school honorable mention drawing work of Reese Roush, who was absent.